Balancing your hormones naturally and learning how to protect thyroid health, is critical to every function inside you and how you feel day by day. Unfortunately, your body is blasted regularly with compounds that mimic the hormones your body produces, overwhelming your system. Your diet and lifestyle habits can deplete your hormones, leaving you deficient. When your hormone levels are too high or too low, it can make you feel like a stranger in your own skin. Hormone balance is vital to overall health. It’s an epidemic and many remain undiagnosed, unaware that their thyroid is in danger. The primary reason for this is that many patients (as well as their doctors) mistake the common symptoms of thyroid dysfunction for something else entirely. There are two hormones [thyroxine (T-4) and triiodothyronine (T-3)] produced by your thyroid gland – a butterfly shaped gland in your lower throat. These are responsible for managing your metabolism, body temperature, and blood pressure. Though this part of the endocrine system is small, it is mighty. It literally effects every organ and function inside you because every cell utilizes thyroid hormones. When this gland malfunctions, it can cause all sorts of chaos. There are three primary forms of thyroid dysfunction that you need to watch for (and guard against). Your thyroid is stimulated by signals from your brain’s hypothalamus and your pituitary gland tells the thyroid gland to either produce hormones or to hold back. When the signals are blocked or incorrect, it can result in serious repercussions throughout your system. No matter your age, it is critical to protect your thyroid function. Problems can develop in adults, children, and even infants. Newborns tested and treated early respond well and the safeguard may prevent poor mental development. There are synthetic hormones available through the pharmaceutical companies. In fact, thyroid medications are the fourth highest selling drugs in the United States. 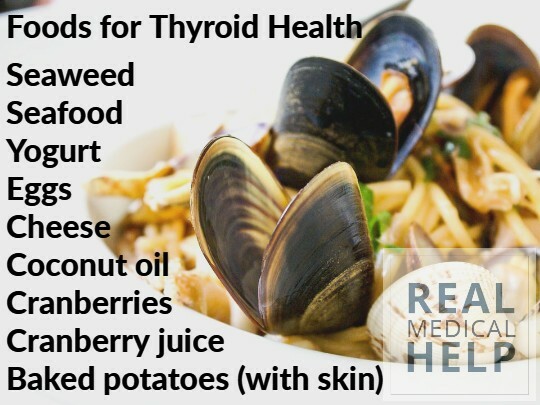 They may help to get your thyroid back on track. However, patients must possess a thyroid that no longer functions for the synthetic replacements to work. Preventing the destruction of your thyroid in the first place is a far better solution. There are steps you can take to protect your thyroid naturally through diet and lifestyle. Increased consumption of foods rich in vitamin C has been proven to fight cancer and improve overall health. When molecules become unstable due to damage or mutation, vitamin C is considered a “universal donor” – able to contribute molecules to reestablish molecule stability. Researchers are hopeful that this will lead to an alternative treatment to hormone replacement therapy (synthetic hormones that increase cancer risk after just a few years of use). HRTs are also implicated in a higher risk of stroke and sudden death. However, vitamin C can be taken at high doses safely and is beneficial in many ways to overall human health, including strengthened immunity, preserved vision, anti-aging, and protection against heart disease. Strange symptoms you can’t explain may be due to hormone imbalance. Talk to your doctor about testing. If your hormone levels are off, even if you’re given a prescription, there are natural ways to bring them back in balance. Currently, there is no cure for autoimmune diseases such as Hashimoto’s that cause extensive damage to the thyroid and result in additional health conditions such as hypothyroidism. As with most autoimmune disorders, it’s crucial to pay close attention to diet and lifestyle habits. It may not reverse thyroid damage, but it will slow deterioration and ease symptoms. Each of your internal systems are connected. They depend on each other to function properly. Therefore, if you eat right for your thyroid, it’s going to be good for your brain, heart, gut, and so on. Making good diet and lifestyle choices to protect your thyroid is good for your entire body. Like Us on Facebook and you’ll get our insider health tips and the latest breakthroughs in alternative medicine! Copyright © Medical Research Associates. All Rights Reserved.